SELECT statements of a single table, such as SELECT * FROM license, will now display the results in an editable Query Results panel. 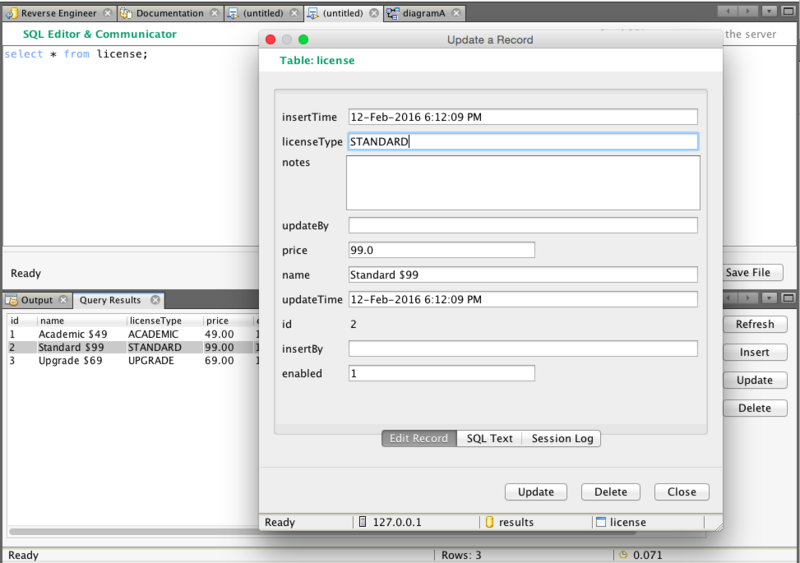 This allows the query results to be edited with dynamic dialog panels. Edting Query Results with Dynamically Generated Panels.